One of the easiest things to do in order to avoid this kind of problem is to use an SSL certificate to improve the security level of one's website and online store. Figuratively speaking, the SSL certificate means either the abbreviation "HTTPS", a small padlock icon or a green company name before the domain in your browser's address bar — the SSL certificate assures that the website is trustworthy. 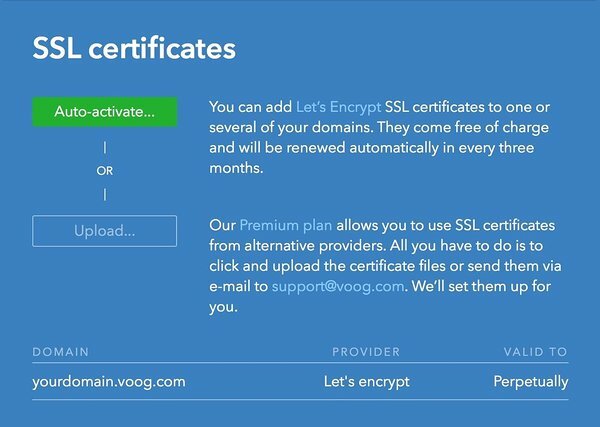 Read more: how to activate SSL certificate on your Voog site? When you click on the padlock icon or the green company name you'll see who's the owner of the certificate and when does it expire. The SSL certificate makes sure that you really are visiting the website you wanted to and are not secretly redirected to – let's say – a phishing site. All the activities conducted on a website or online store are essentially, requests for information between the visitor's web browser and the website in question. The SSL certificate indicates whether the transactions are secure and encrypted or not. Shopify is also using an SSL certificate. The padlock icon and green colour indicate that the website is safe to visit. Visiting a website can be viewed as a conversation between you and the server of the website. Like any other conversation which is held in a public place, it can be overheard by someone else who might not have the best intentions. In that sense, visiting a website without an SSL certificate is like talking about your personal matters on the busiest hour at the Sunday market. This is really important to keep in mind when browsing the web, especially when a website asks for your bank details or other sensitive information. In that case, it is recommended not to give out your information to a website or online store that does not use the SSL certificate. In order to be trusted by the web browsers, an SSL certificate must be issued by a reliable Certificate Authority. That is because with the right know-how anybody could create a certificate and not all the certificates are trustworthy. It gives the assurance to the web browser that a website can be trusted when a commonly accepted Certificate Authority issues a certificate to a certain domain. By the assurance it is meant that the website does not contain any kind of harmful software that could endanger the visitors. The reason why some of the websites have the padlock icon or the company name on a green background before the domain name is to indicate that the website is safe and the visitors can be confident that the sensitive information that they share with the website will not be accessible for the third parties. Although the original SSL technology was developed as early as 1995 in order to provide businesses a safe way to accept online payments, it is only 60% of all the websites that use the encrypted connection with their visitors. When a web browser attempts to connect to a website, the browser requests the server of the website to identify itself. Once the request is received, the web server sends a copy of its SSL certificate back to the web browser. By checking the certificate it is up to the browser to decide whether it trusts the certificate or not. If the certificate is trusted by the browser, a message will be sent to the server and the server sends a digitally signed acknowledgement to the browser to start the encrypted SSL session. The encrypted SSL session will be established and all the communications between the browser and server will be encrypted and secure. Of course this is extremely simplified description of the process. If you're interested you can read about it here. Why Should I Use the SSL certificate? As mentioned above, one of the most important reasons for creating the SSL technology was the protection of personal information when shared with websites and online stores. Like the abbreviation HTTPS (Hyper Text Transfer Protocol Secure) indicates, SSL is nothing more than a protocol for safe information transferring. Giving commands to both, to the server and the browser, SSL creates a secure channel so that the visitor of the website can enter her passwords, email and other information without fear of data falling into the wrong hands. Therefore, one could say that the SSL should be compulsory for all the websites and online stores that have anything to do with sensitive information of the visitors. Now, take a minute and think carefully whether your site or store asks people to share information that needs elevated protection? If so, it is time you start using an SSL certificate. An example of the warning that is displayed when the visitor is trying to access a website without a valid SSL certificate. The second most important reason you should use SSL is the trustworthiness of your brand. If the aim of your website is to be part of your brand's success story and if you want your brand to be taken seriously then it is highly recommended that you start using SSL. Almost all browser vendors are working hard in order to make surfing the web safer. 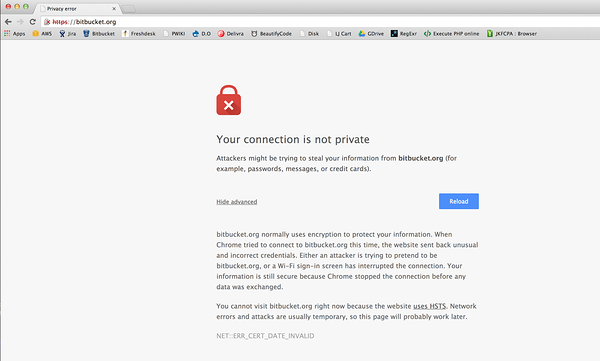 One of the frontrunners of these initiatives is Google Chrome that displays a red warning notice “Your connection is not private” when a visitors attempts to go on a website that does not use SSL. True, right now the warning is only displayed when the website asks the visitor to give out information like bank details, password or similar. However, considering that Google is already giving higher positions to the secure websites in its search results, it is likely that they will sooner or later start displaying the red warning to all the websites without SSL. It is probably going to happen even if these sites do not ask the visitor to share any sensitive information. 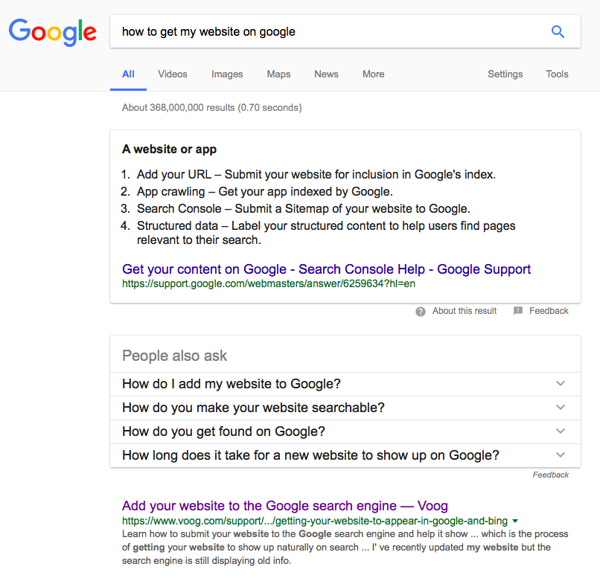 The third reason has been mentioned already — the position of your site on the search results. There are many factors affecting your position on the search results at all the biggest search engines. Improving some of them can be really difficult, time-consuming and expensive. Starting using SSL, however, is one of the easiest things to do in order to improve your position. From that perspective it seems even silly not to do that because the better your position in the search results, the more traffic you will attract to your website. And the more traffic you have, the better your position will be. It's really is a fairy cycle and using SSL certificate can be surprisingly effective to kick-start this chain reaction. So, why not to make the best out of this opportunity? It depends on what kind of platform of software have you used for building your website. In general, there are two opportunities to build a website. Firstly, there are many software based or self hosted solutions — Wordpress, for example. In this case you should contact the person that helps you to maintain the website or the company that you are using to host your website. The other way to build a website is to use a service based platform like Voog, Wix or Squarespace. On most of these platforms it is rather easy to start using the SSL certificate — all you you have to do is to open the settings of your account and enable the SSL with a just a few clicks. When doing so, keep in mind that not all the service providers offer this opportunity for free, so do your due diligence and see on what terms does your service provider offer the SSL. In addition to that, you might as well be using a service that does not offer the opportunity to use SSL at all. However, if you are using Voog for your website, you do not have to worry about any of this. Voog is offering SSL in all of its subscription plans for free — all it takes to enable the SSL is just a few clicks.